Three major airlines have denied a report from an Australian newspaper claiming they purchased headphones made by abused prison inmates in China. 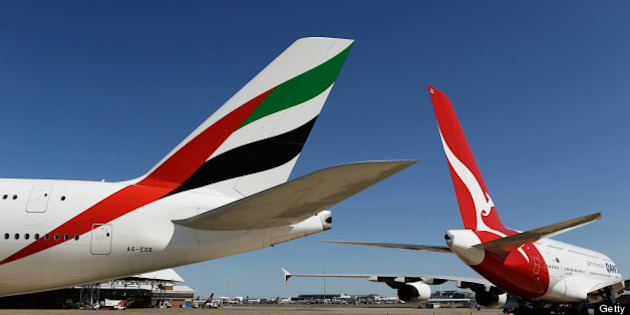 The Australian Financial Review published a piece Wednesday saying Emirates, Qantas and British Airways — as well as other electronics manufacturers — purchased products, including headphones, made in a jail where inmates are beaten regularly. The Review's source is Danny Cancian, a New Zealander who last year was released from the Dongguan Prison in the southern province of Guangdong. Cancian says that he and other inmates made disposable economy-class headphones for three airlines, identifying them specifically as Emirates, Qantas and British Airways, International Business Times reports. “It’s a very cruel environment. You wake up every morning wondering if you are going to survive the day,” he told the Review. Cancian, who spent four years in the prison for manslaughter after a restaurant brawl, said inmates who failed to meet production targets were "taken outside and tasered." Emirates, one of the world's largest and most award-winning airlines, denied the Review's report, saying in a statement that the company's headsets "are manufactured by an industry leading company that supplies over 200 airlines around the world," Arabian Business reports. British Airways made a similar denial, saying its headset supplier Linstol only used "credited factories," according to The Independent. "Our supplier has made it abundantly clear that it has never used prisons in China to produce any British Airways headphones. We pride ourselves on providing the very best products for our customers," the company said in a statement. Qantas denied the Review's report, but launched an internal investigation into the matter. It said in a statement that it's "very concerned by these allegations." "To be clear, Qantas has no relationship with the Chinese-based company at the centre of Australian Financial Review's (AFR) claims," the company said. "The airline company continued to insist it performs regular audits of factories as well as suppliers to ensure its strict conditions are met." Qantas has suspended business with its supplier until the investigation is complete. Cancian was featured on the docudrama series 'Banged Up Abroad,' and told his prison story on his YouTube channel.